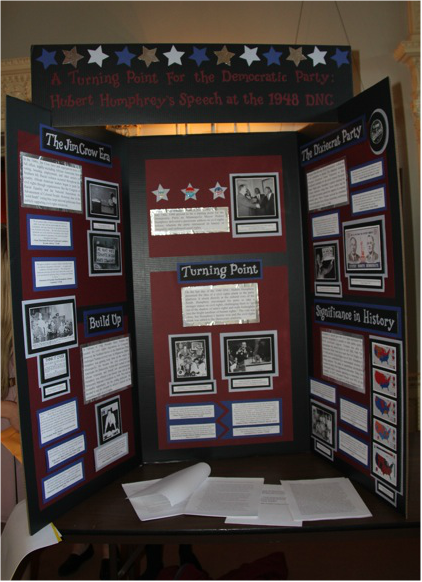 Buy your exhibit board and help Connecticut History Day! 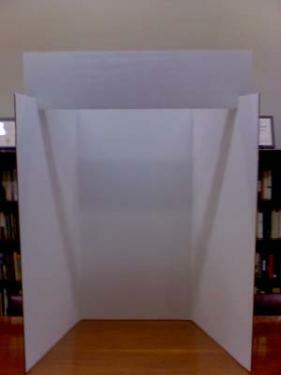 Taller, wider, and deeper than your off-the-shelf exhibit board, these double‐thick, corrugated boards are 48 inches tall and 72 inches wide. When displayed there are 23.5 inch wide side panels and a 25 inch wide center panel. 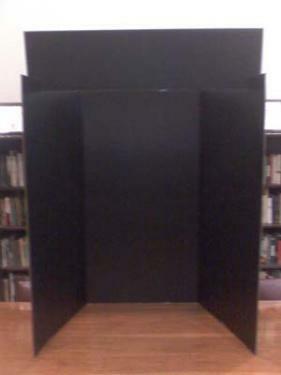 Optional title panels extend to the maximum 40 inch width allowed by History Day rules and are 10 inches tall. They are sold individually or in bundles of 10.